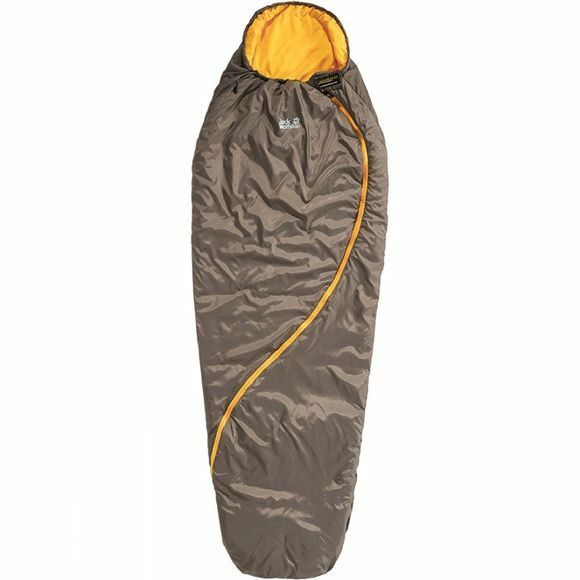 The lightweight Women's Smoozip +7 Sleeping Bag is ideal for use in the summer. It can also be used as an inlay to increase the insulation of the main sleeping bag. The robust and moisture-resistant synthetic fibre interlining ensures sufficient insulation in combination with a convenient pack size and durability. The hood can either be laid out flat or pulled tightly around your head, depending on the temperature. The zip follows an intuitive path of movement when opened or closed. This means that it's especially easy to use.